The Designated Hitter™ Youth is the ideal pitcher's training tool for baseball and softball pitchers at the advanced level. 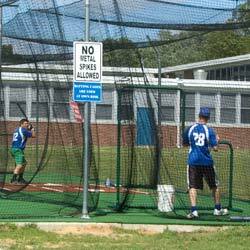 It allows your pitchers to have a live training or bullpen session without the need for a live batter. This gives you a more efficient, effective and safe training session. 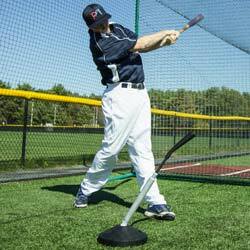 The Designated Hitter™ pitching dummy stands 5'2" tall and comes with a weighted base to allow it to stand on its own. 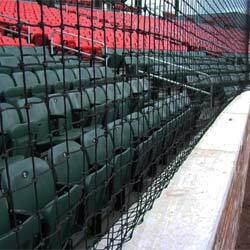 It is made with durable materials so it will not break when hit by fastballs. 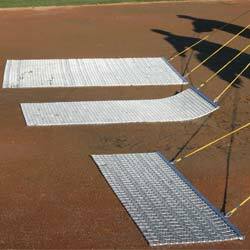 It is also constructed with beveled edges to reduce pitch deflection and provide a safer experience for your catchers. An orange string that attaches to the elbow of the dummy provides a visual representation of the inside corner of the strike zone for your pitchers to aim at. This helps your baseball and softball pitchers visualize the zone and practice hitting their marks.